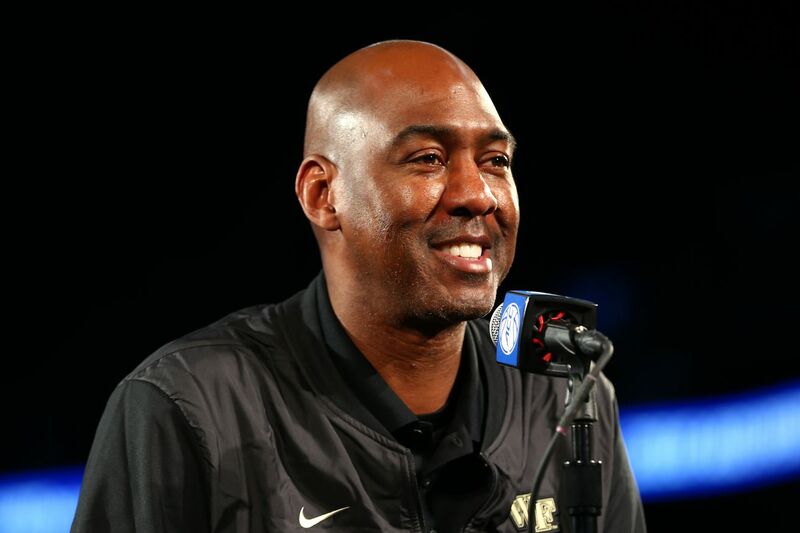 Wake Forest head coach Danny Manning will return to the school for his sixth season next year. In five seasons he is 65-93 overall with a 24-66 record in the ACC. Although many believed this to be the final year of his tenure in Winston-Salem, Manning has been granted another year to try to turn around what has been a miserable five years (and decade) for Wake Forest basketball. I am not going to sugarcoat this or be unnecessarily negative, but it should come as no surprise to anybody who has read me on Blogger So Dear or on Twitter that I believe this is a horrific decision and will ostracize an already apathetic fan base who is steadfastly devoted to Wake Forest basketball, and that, to me, is just very sad. Manning has graduated one four-year player during his time at Wake Forest (Mitchell Wilbekin) and despite two top-thirty recruiting classes nationally, has set the Demon Deacons up as a revolving door of student-athletes over the past three years due to transfers and players leaving for professional basketball. I do want to say, there is a lot of talent on this roster and a lot of student-athletes that I thoroughly enjoyed watching this season. The team didn’t give up at all during a tough year, and I truly believe that a lot of these kids have the talent and motivation to play professional basketball. I am proud of what they did for Wake Forest this season, especially how they represented Mother So Dear on the floor, and it is horrible that there isn’t a great way to distinguish the disdain that people feel for what is going on right now with the program and how people feel about the players as a whole. Everything that I have heard from folks close to the program indicates that the contract extension given last year by Ron Wellman to Danny Manning was simply too much to overcome to make a move this off-season. Although we will likely never know the specifics of the details, nor what went on in the meetings between the AD and Manning in the past few days, I believe that by keeping Manning it will ultimately prove to be a worse financial decision than cutting ties with a bad contract and bad fit and moving on. The words of the athletic department, media relations, and everybody involved with Wake Forest as far as payroll goes just ring extremely hollow right now. There is no dedication to winning, there is no commitment to improving, and those making phone calls to Wake Forest alums, donors, and simply fans will find it extremely difficult to raise money in these circumstances. We will have more on this later on in which we can share more thoughts about this development, but as a lifelong Wake Forest fan it just feels like the program has completely abandoned winning as a goal of the program. This article was originally published at http://www.BloggerSoDear.com (an SB Nation blog). If you are interested in sharing your website's content with SCACCHoops.com, Contact Us.